Eleni took such good care of us and was so helpful and lovely! The room was described as a budget studio with small bathroom, but it was a detached chalet in the grounds with a small garden/patio and was just perfect. Simply furnished as expected, more than comfortable and a basic but reasonable sized bathroom. Great pool area, fab snack bar, Eleni was the perfect host. Very nice views, nice swimming pool, not too bad location. Friendly relaxing atmosphere. Great location just 10 minute walk to village (keep in mind it is Lindos so there will always be hills). Plenty of poolside loungers. Staff were very nice and chatty. We were only in Lindos for a 4 day visit. I would go back again and stay here. See you in the future Eleni. Friendly staff, large and clean accommodation, lovely pool and views. Quite a walk into the centre of Lindos but good to walk off your dinner! The swimming pool was lovely, there were enough sun loungers, quite nice grounds. Lock in a great price for Eleni Apartments – rated 8.6 by recent guests! With a lovely outdoor pool area and fully equipped accommodations, Eleni Apartments offers a peaceful base with free parking and breakfast, just a 10-minute walk from Lindos village. The bus station is within a 5-minute walk. 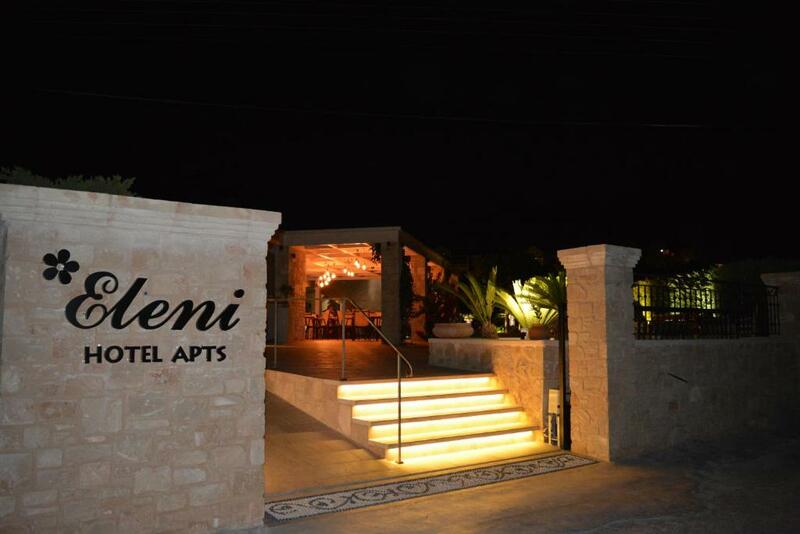 Eleni Apartments is a small, family-run complex. The friendly owners help to provide a warm and relaxing atmosphere. Each of the apartments is decorated in a simple style and offers a kitchenette, air conditioning and satellite TV. There is a supermarket just a short walk away for all your groceries. 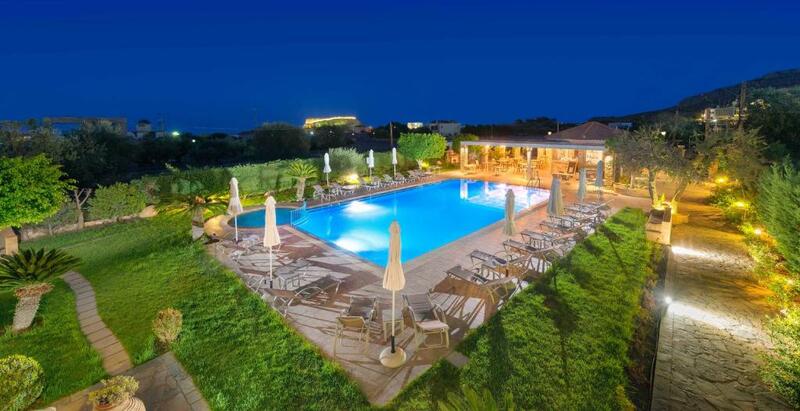 There is a lovely outdoor pool area with a sun terrace and views of the sea and Lindos Castle. The pool bar serves breakfast, snacks and a variety of Greek and international dishes. Guests can enjoy weekly BBQs nights in the snack bar area. Rhodes Airport is at a distance of 31 mi. 뀐 Located in the top-rated area in Lindos, this property has an excellent location score of 8.6! When would you like to stay at Eleni Apartments? Featuring views of the Acropolis, the pool and the garden, this air-conditioned, ground floor studio opens to a patio. It has a sofa and a kitchenette with mini fridge and cooking hobs. Located in the back of the garden, this detached room comes with air conditioning and garden view. It offers a mini fridge, electric kettle and a small bathroom with shower. Featuring Acropolis and sea views, this air-conditioned studio is located in the first floor. It comes with a sofa and a kitchenette with mini fridge and cooking hobs. This duplex suite offers views of the pool, the garden, the Acropolis and the Aegean Sea. Modernly decorated in earthy tones, it features a fridge, electric kettle and toaster. The private bathroom has a shower. Free WiFi is provided. House Rules Eleni Apartments takes special requests – add in the next step! Eleni Apartments accepts these cards and reserves the right to temporarily hold an amount prior to arrival. Please inform Eleni Apartments of your expected arrival time in advance. You can use the Special Requests box when booking, or contact the property directly using the contact details in your confirmation. Our stay at Eleni’s apartments was awful. The honesty of this lady and her business is very doubtful. First, we arrived and were told that the room we booked for 3 nights was no longer available du to a mistake by Booking.com and we would have to pay more than the original amount for the only other room that was available (with a double bed instead of 2 single ones). After refusing she finally accepted to give us the room with no price increase, this time admitting it was her fault. Then, we were told that we would need to move to a "deluxe" villa since that aforementioned room was only available for 2 nights and not 3. The villa seemed a decent comprise but that was only until she changed her mind on the next day and mentioned that we wouldn’t be able to stay in the villa but had to go to another apartment nearby. When we moved in, we realised that once again we didn’t have 2 single beds but 1 double and a couch. Our booking included air conditioning but when we moved to the apartment the remote controller had been removed by the owner. After calling the owner he explained air-conditioning was at extra which Eleni had not paid for. We had to wait until 1am to get the owner to come with the remote controller. Not to mention during our stay at her hotel we had no hot water to shower on the first evening, and a power failure on the second day, which meant no air-conditioning. You are a walking wallet, prices at the restaurant are ridiculous (3,8 Euros for a cappuccino, 1 gin tonic and 1 chips 20 Euro, etc) , no cleaning service, no new towels. Quality of food and coffee is poor . If you decide to stay in the hotel (not a bad option) avoid the restaurant!!! I think if there was a drop of price in the food menu people would probably tend to spend more. It's a basic menu but nice breakfast and poolside snacks. Coffee & Tea on offer could be better. WiFi signal not good but I didn't go to spend time on the internet so wasn't a significant issue for me. Just had a fridge x kettle in room. A toaster would have been nice. Also you had to wash dishes in bathroom which wasn't ideal. Only had lunch twice x I'm comparison with beach x town restaurants was more expensive x poorer quality. Not easy to get food. Very hot to walk around and hilly area seem quite shos ok .. maybe i have to high standards . The bathroom is very dated and the shower not great! We did not have any hot water on two occasions. The bar is meant to open at 9.00 in the morning but sometimes does not. On the day of our departure, we wanted breakfast but had to leave without it at 9.30 as no staff was present to see us off! We did have the basic room, and paid the low rate, but it was very basic. The shower room was unpleasant and decor very tired. The prices at the hotel bar were ridiculous - so expensive! More than any other bar/restaurant we went to in Lindos (and we ate at nice places!). We also had to wait 40 minutes for the room to be ready in midday heat on arrival, and the hotel is at least a 20 minutes walk into lindos, down and up a steep hill with lots of traffic, which was not pleasant in summer heat. Thankfully the swimming pool was there on return! And to be fair the pool area was nice. But all in all we would not stay there again, it just wasn’t good enough even for the ‘budget’ price. Eleni and her family were fantastic hosts and we had a brilliant time in Lindos. I would definitely recommend this holiday. Eleni and her family made our holiday very personable and was always happy to help us with any questions or booking trips. Our room was very comfortable and the pool area was very relaxing during the day. The location was very good and is a 10 minute walk to the centre of Lindos. The staff were lovely, the apartment and pool / bar area were excellent and it was a good distance into town. Would recommend Eleni's BBQ evening. We had an amazing holiday here and would definitely stay again! Beautiful apartment, great location and very friendly staff. Temperature's were around 25/28 degrees............we like it a bit hotter !! :-)...........alas Eleni cannot do anything about that ! Everything was at least excellent, all facilities were constantly being checked and kept up to scratch. Staff were excellent, nothing too much trouble.